I recognized this one as soon as I hit plan on the first side of this. You’re doing a wonderful thing here. This music means so much to me and so much of it is otherwise missing. Thank you for what you’re doing and thank you to the djs for their inspiration and music. I look forward to more – especially if it’s Steve @ More! A good thing here, indeed! Oh, the memories. Thanks, Simfonik! Side B, song 3 is R.A.S.E. “The Ron Allen Sound Experience” (Get On Up”). Same side, around the 22 minute mark is Station Q “That Special Melody”. Side A ends with Robert Owens “I’ll Be Your Friend”. Thanks for putting this up! This is great. Bang The Drum Returns of 5-16-09… Back to the Underground Check out http://www.bangthedrum.org for more info. @Bang The Drum – my pleasure! Wish I could be there on the 16th. @Nature Boy and Abdukted – thanks for the track ids! I had that tape for about two days, then Rudy stole it from my car and sold it to some Gypsies. Put one of the tribal ones up from 93 or so. DAMN…that’s just sick!! !…love it!! !took me back. Thanx for your taking us back, thank you S. Loria for the inspiration much love! what about “live at aknahten” ans (supersonic techno tronic)only the best steve tapes period. what about the tapes by..
BARRY WEAVER LIVE AT TECHNOFLIGHT??????? ya moonpup he had a tape on milkyway prods. 1991, light green label lost it back in the day. hopefully it will pop on here. I don’t know anyone that has “Live At Ahknaten” recordings. I’d love to put some up if you have some, or know anyone that does. 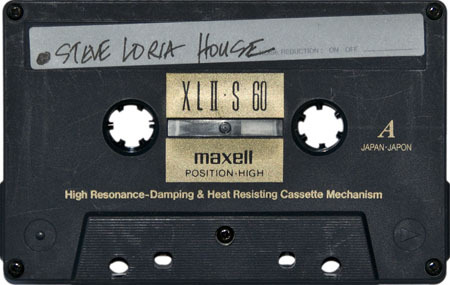 Steve Loria’s Supersonic Technotronic tape is something I’m still looking for. Are you referring to specific tapes by the others? I don’t know of any Aldo Bender mixes beyond what’s up here already. He sent over everything he had. There’s one Destructo mix up and another on the way. I have some Moon Pup (not the milkyway, frank) and Markem X, but no Kool-Aid. I don’t know anyone that has Barry Weaver @ Technoflight either. I’d love to put it up if you have a source for it. this was one of my favorite cassettes of all time! ok…i was able to pull the file up today! on side 2 is????????? i just love all the piano on it!!! I am so pleased to know that so many still enjoy the music I was honored to be able to record. Posted by: Mike Paris, creator of Milkyway Rave Recordings. I hope all 30 of the Milkyway recordings will be found and posted to this site. More seem to be popping up. I am enjoying all the memories from these unique times in the early days of electronic music. It’s “Dynamic Boys – Make Me Say Yes” at the end of side B. Great spots Omar!!! Especially that Shirley Murdock. sick!! And your welcome bud!! I do it for all of us old school lovers. So that we may appreciate the music and the artistry fully. These are historic mixes.